Data-driven dialogue agency, Yourzine UK, has rebranded to become Adeptiv UK, with a new management team that includes ex-DigitasLBi Business Director, Jake Richards, as Managing Director. Alisa Fleischmann, previously of Wunderman and OgilvyOne, has been brought in as Client Services Director. 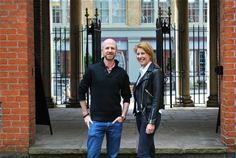 The rebranded agency, whose key UK accounts include ODEON, operates as the London office of 250-strong Dutch agency group, Adeptiv, formed from the merger of several agencies including Yourzine and Searchresult. Group clients include Vodafone, Samsung, Triodos Bank, T-Mobile, Jaguar/Landrover and IKEA. Adeptiv UK’s proposition revolves around using data, technology, creative and media to help brands ‘get, keep and grow’ customers at scale by enabling genuine, timely conversations throughout the customer journey. Services span CRM strategy, creative, build and deployment and website user experience as well as PPC, SEO and programmatic strategy and execution. The agency’s team of technology and data specialists, as well as platform partnerships with Salesforce, Google, Selligent, Braze and Adobe, means one of its core offerings is consultancy and skills transfer to help clients maximise gains from marketing technology, including marketing automation and data platforms. Part of the way the agency delivers on this is by working collaboratively on-site with brands’ internal teams, something that is very much part of the Dutch agency working style. “Adeptiv acts as an extension of my team, providing strong strategic CRM recommendations, bringing magic to the way we engage with our audience of film fanatics and helping us get the most from our technology,” said Patrick Steele, Loyalty and Membership Manager at ODEON. Adeptiv UK has a growing team of experts in London covering each of its core discipline areas. As well as helping startups and disrupter brands connect with their audiences and grow their databases, it is adept at assisting brands in disrupted markets get back on track, by harnessing the right technology to stabilise and grow their relationships with existing customers and find new ones. Jake Richards joined Adeptiv UK as Managing Director brought in to oversee the rebrand from Yourzine UK and to grow the business across verticals Adeptiv Group excel within. Jake was previously Business Director at DigitasLBi where he ran a portfolio of accounts that included; Knight Frank, HSBC, McDonalds, Four Seasons and Lexus, which went on to win a DMA Gold in 2017. Alisa Fleischmann was hired as Client Services Director at Adeptiv UK to support the agency rebrand, develop new business and service existing clients. She has over 12 years’ of experience in data-driven one-to-one communications, with a specialism in loyalty programme enhancement. This includes positions at Wunderman UK where she supported Shell’s loyalty transformation and at OgilvyOne working on brands such as British Gas, American Express and British Airways. Previous to joining Adeptiv UK, Fleischmann set up a specialist talent recruitment agency for the marketing industry. We are a data-driven dialogue agency in London which specialises in helping clients get, keep and grow customers at scale. We use a mix of data, technology, media and creative to generate a genuine dialogue that builds stronger relationships with customers and prospects. Services include CRM strategy, creative, build and deployment and website user experience as well as PPC, SEO and programmatic strategy and execution. We also provide consultancy to help clients maximise their use of their MarTech, including marketing automation and data platforms. We are the UK office of Adeptiv Group, the Netherlands agency group that has 250 employees, working for brands including Vodafone, Samsung, Triodos Bank, T-Mobile, Jaguar/Landrover and IKEA. Adeptiv Group is owned by PostNL, the Netherlands postal and parcel delivery services company. We have strategic partnerships with platforms including Salesforce, Google, Braze, Selligent and Adobe.